Released by Sony Classical on November 18, 1997, Titanic: Music From the Motion Picture is the soundtrack to the James Cameron film Titanic. Composed, conducted and orchestrated by James Horner, the soundtrack mirrored the success of the film and topped the charts in nearly two dozen territories. The soundtrack itself sold over 30 million copies and became one of the best selling albums of all time and the top primarily orchestral soundtrack ever. Director James Cameron initially approached new age musician Enya and even produced a rough edit of the film using her music as the soundtrack. After Enya declined, Cameron approached James Horner, whom he worked with during the filming of Aliens. The pair had a rocky relationship after this cooperation, but Cameron overlooked this fact due to the success of Horner’s work with the Braveheart soundtrack. The composition of the soundtrack was done with the stylings of Enya in mind and singer Sissel Kyrkjebø performed the wordless vocals. Sissel was the final choice after 25-30 singers interviewed for the position. Those familiar with the soundtrack remember the hit single “My Heart Will Go On” by Canadian singer Céline Dion, but many aren’t aware that the song was not initially slated to be on the soundtrack. Cameron did not want a song to be sung over the credits, but Horner secretly wrote the song and recorded it with Céline on vocals. The song ended up topping the charts all over the world and winning an Academy Award and Golden Globe for Best Original Song. The orchestral songs were recorded digitally by Horner and utilized a synthesized choir. Using a digital orchestra rather than a real one was a decision by Horner in order to avoid the soundtrack sounding like it was recorded in a church. In addition to Horner and Dion, Christian songwriter Michael W. Smith contributed the song “In My Arms Again”. 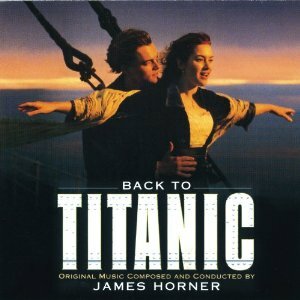 Following the success of the Titanic soundtrack, a second album followed titled Back to Titanic which included previously unreleased recordings as well as new recordings of songs in the film. Some of the contributors to this album include Clannad (a band in which Enya is a former member) and singer Máire Brennan. 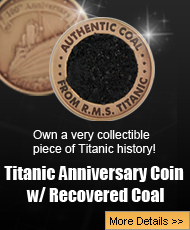 Back to Titanic ended up becoming a platinum selling record. 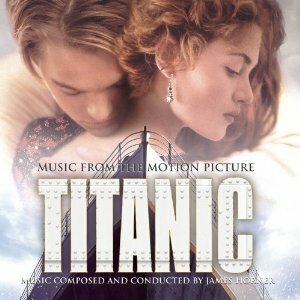 Titanic: Music from the Motion Picture hit number one in over 14 other countries including the United Kingdom, Australia, and Canada. Titanic: Movie From the Motion Picture track listing. All songs conducted and composed by James Horner.